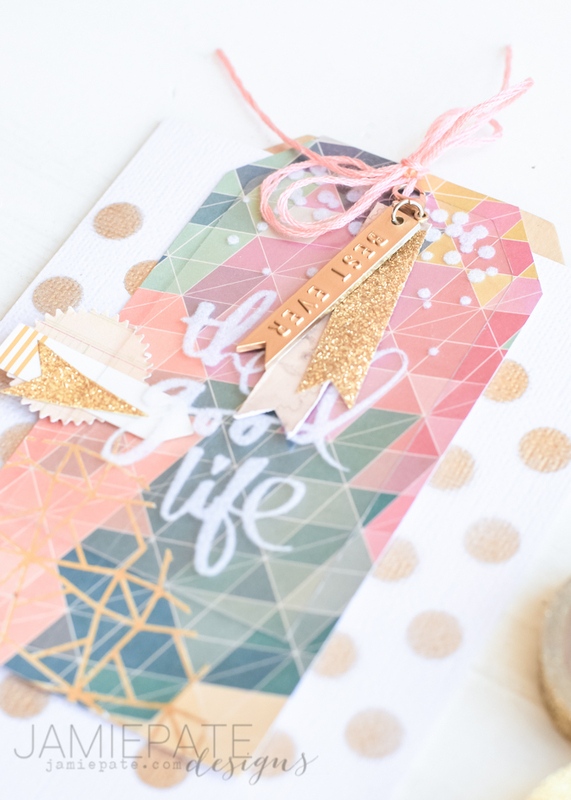 Have you seen the latest Jot Magazine edition of Jot&Heidi Mini Mag? The Jot & Heidi Mini Mag was released in November. With all the posts for Thanksgiving and Christmas all over our creative world, it may have been an edition that was missed. But don't miss this! 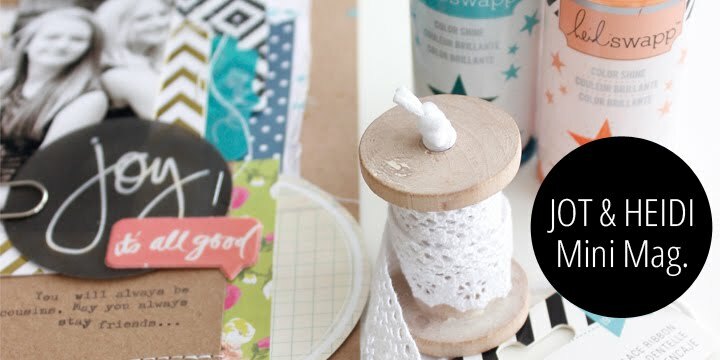 Kim over at Jot has such a beautiful way with these online publications. 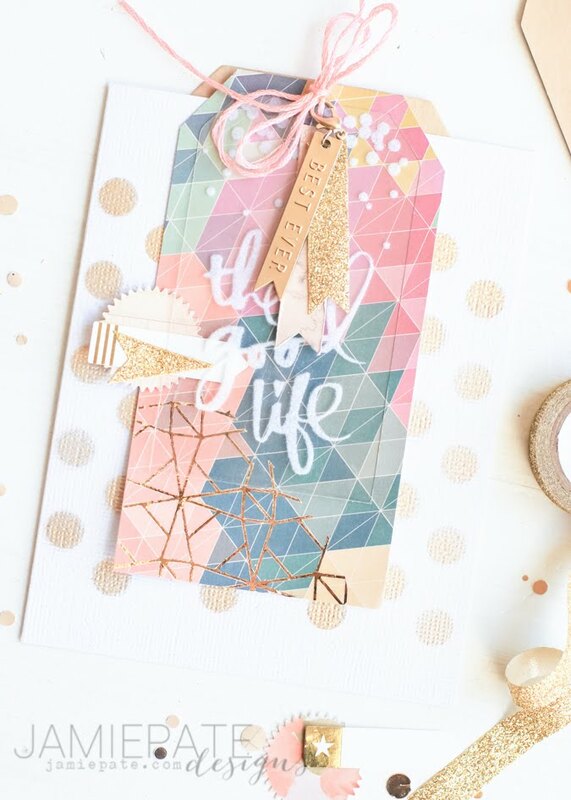 So if your New Year creative self needs a bit of inspiration, there won't be a shortage there on her site. Today's post will be full of eye candy highlighting my submissions to this mini magazine as well as give an up close look at my projects. 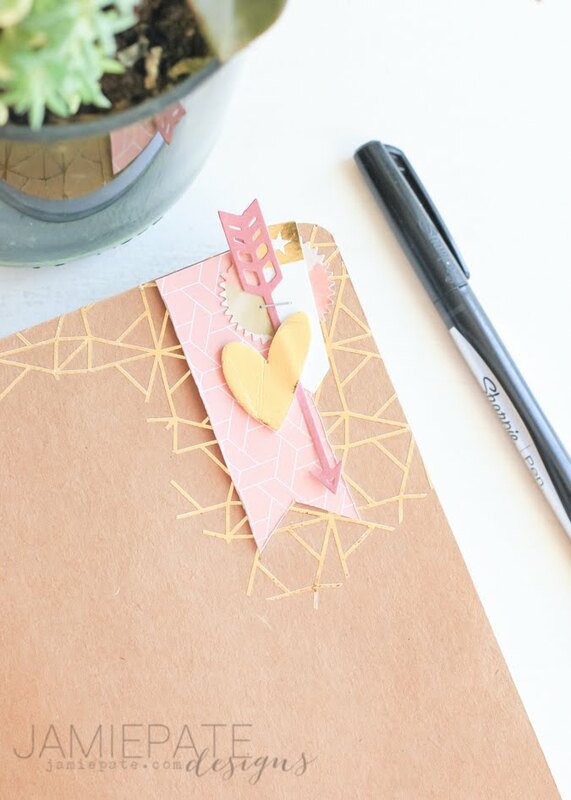 This first card is a pocket created from cardstock that was embossed with the Tribal Embossing Folder. 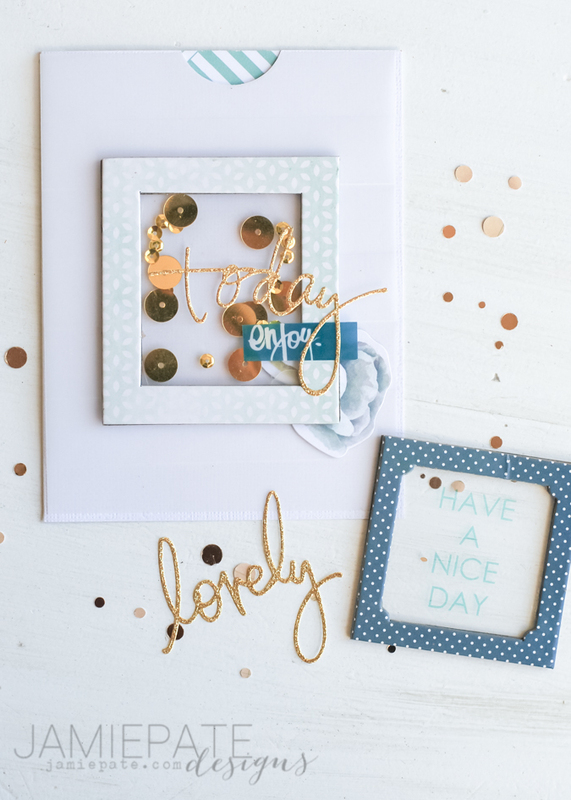 A gold foil pocket is layered to the front along with pieces from the Lace Paper, glittered letters, and paper punched pieces to finish the embellishment cluster. 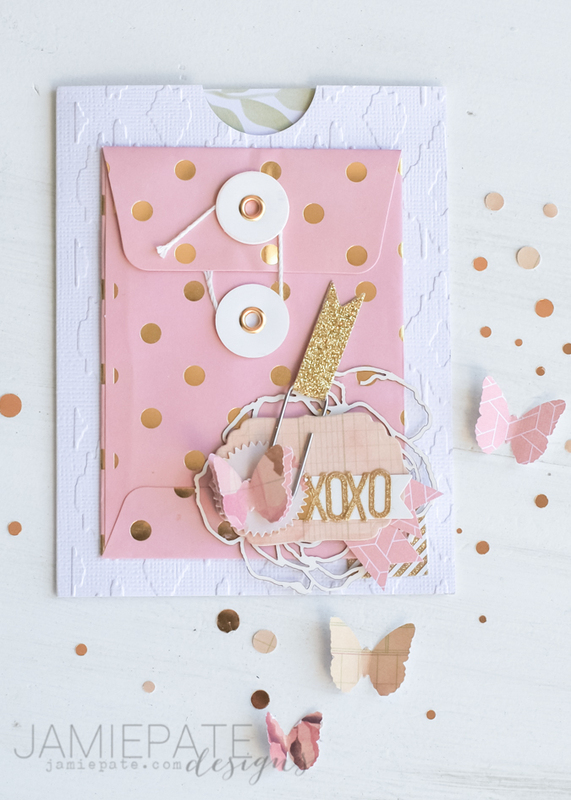 This one may or may not be my favorite card...because gold polka dots. 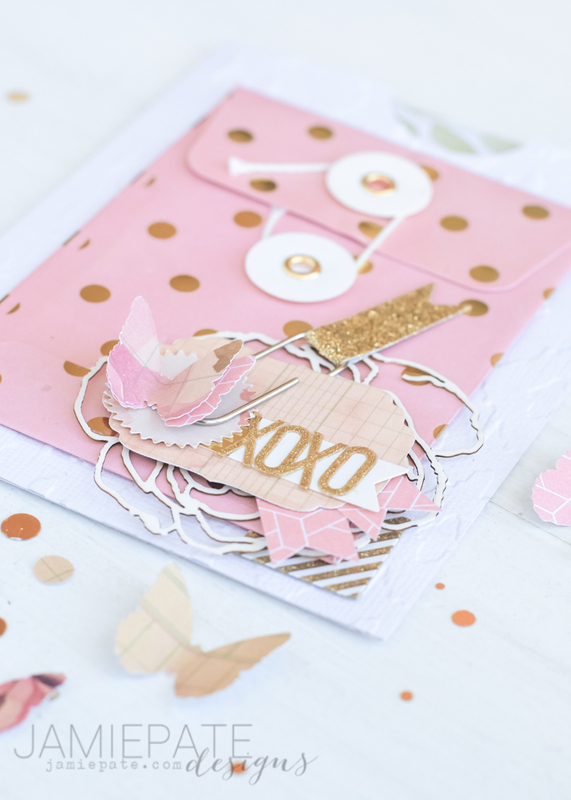 This card also starts with a pocket made from cardstock. Sort of hard to make out but it was embossed using the Stripe Embossing Folder. 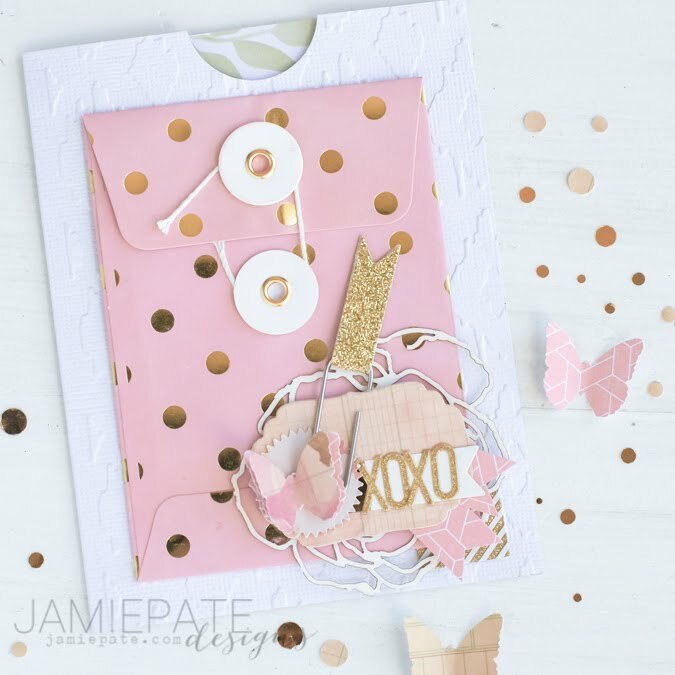 Over that is layered a piece of vellum that contributes a very soft feel to this card. This card is actually a real simple creation. Using one of the Shaker Box with Sequins as the focus to the front gives it all kinds of glam and pretty. Layered with a gold glittered 'today' word, and a few pieces from the Flea Market Pouches and it's done. Now let's turn to a few tags made up with some Wanderlust elements. You know... 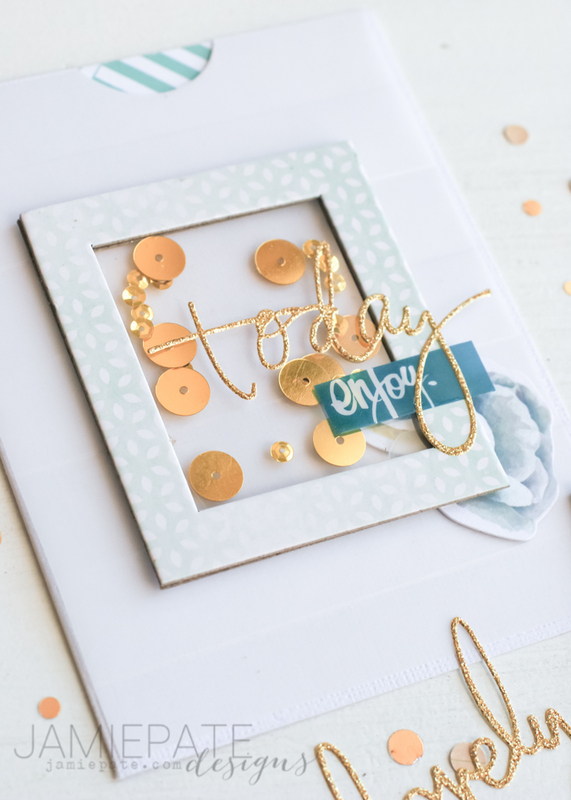 I am all about variations on a theme...so again a cardstock pocket was first created and then stenciled with gold metallic paint over a polka dot stencil. Two tags were actually trimmed out for this and one, as you can see, is tucked into the pocket. 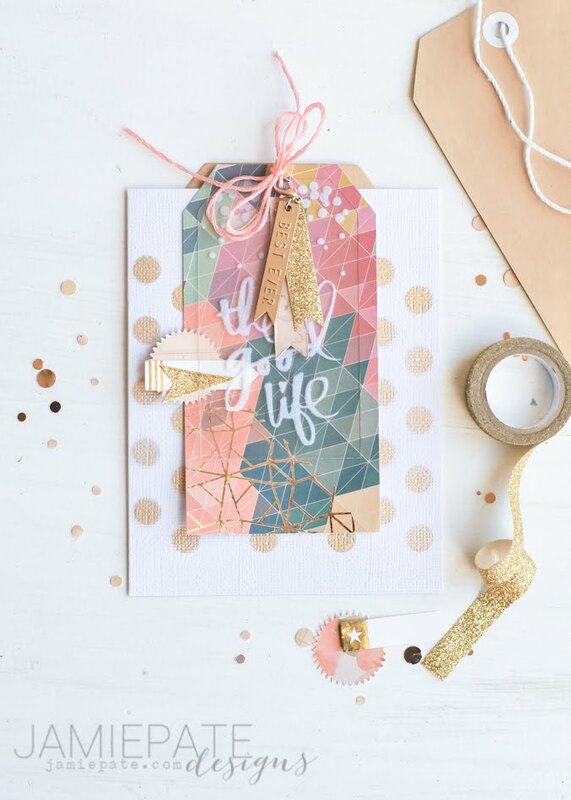 The top tag is pattern paper that is foiled with the Geometric Foil Rub Ons. A Flocked Acetate White tag is then layered to the top of the pattern paper tag, along with notched tags and a spray painted Metal Charm. Lots of layers is what makes up this tag. 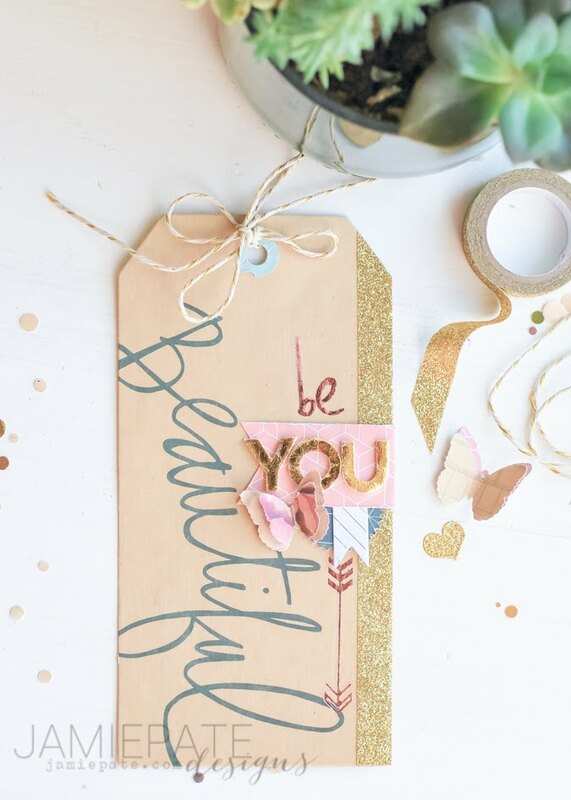 The Wanderlust Collection includes a few pre-made tags just begging to be dressed up. 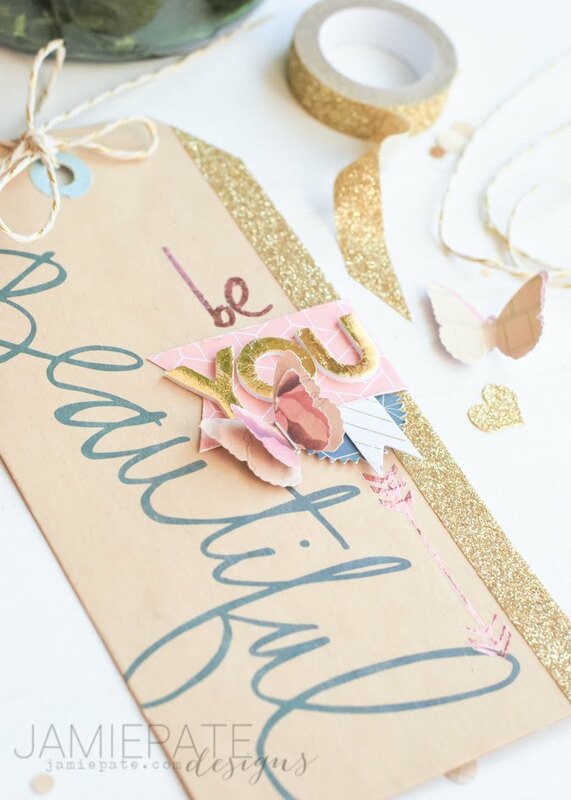 This 'beautiful' tag belongs to the Kraft Tag with Gold Foil set. 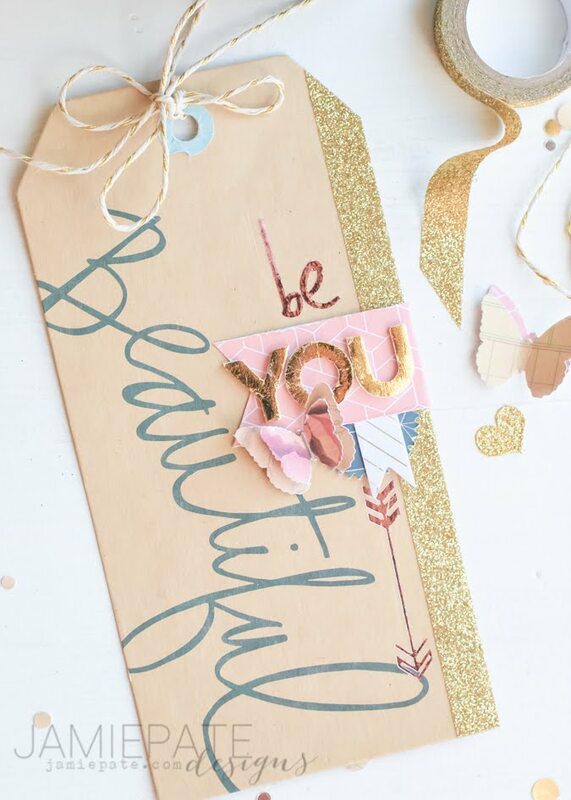 It does not take much to make these tags something special. There are also several journals in the collection. 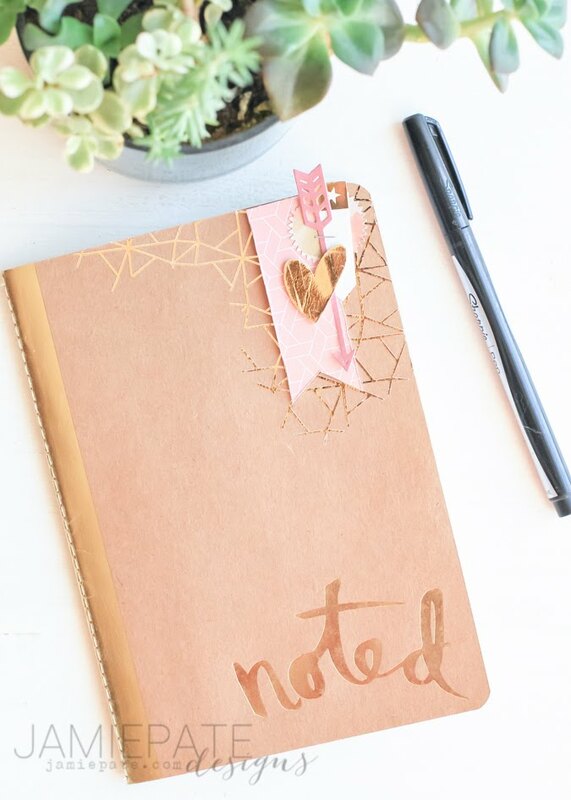 The Noted is gold foiled already and also has that pretty gold binding on the edge. 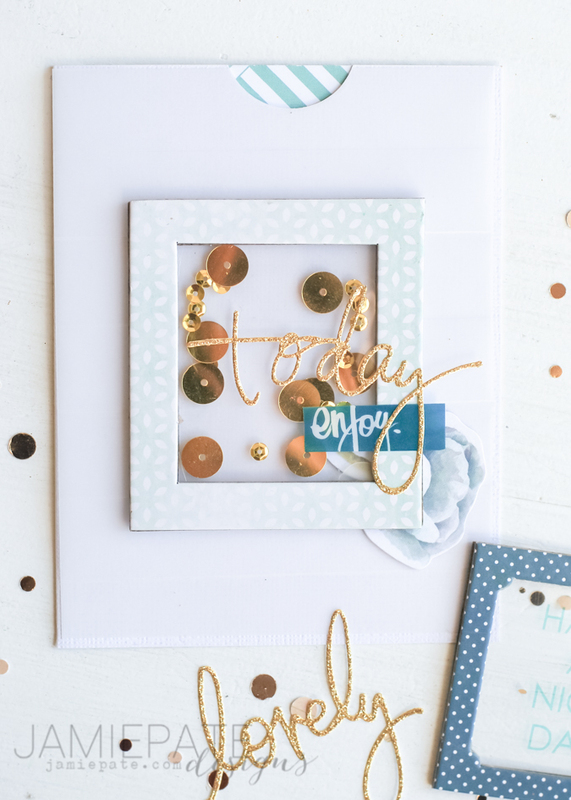 This makes a great gift with a little embellishment cluster on the edge. It may just be too pretty to actually giveaway. Be sure to check out Jot & Heidi Mini Mag over on JotMagazine. Hope this mini tutorial inspires some creativity in you today.